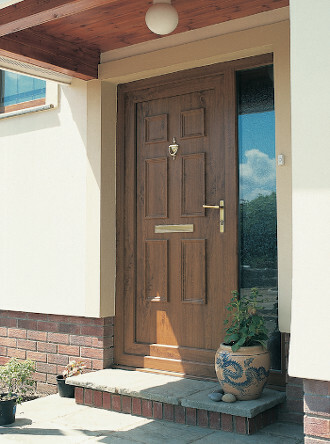 Usually referred to a residential doors, u-PVC doors have been a favourite door of choice for years! Fabricated with the same system and techniques as the windows this simple yet effective solution has been meeting expectations of customers for a long time. There is a wide variety of choice and possibility meaning you can add your own touches. We offer a selection of door sash widths to choose from, as they are made with the same technique as our windows they match very well for an all round finished look. A u-PVC Door from NuVu Windows is the most cost effective made to measure door out there these days. At NuVu Windows our specialist team create the french doors to your exact specification. Our Doors are designed and made to fit, we do not use existing parts left around we make all the parts fresh for your french doors. 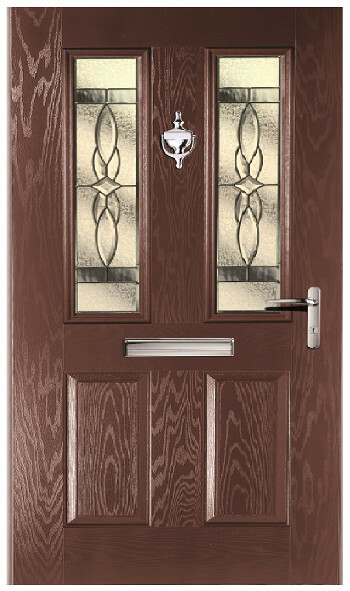 We have a choice of sculptured or bevelled sashes and glazing beads meaning you get our own unique finish on the design. You also get the choice of black or white gasket colour and hinges. Our Handles come in a range of white, black, chrome and gold, our french doors are very traditional in a choice of many wood grain and coloured foils. Patio Doors at Nuvu Windows LTD are designed to provide the highest and most pristine standards of aesthetic appearance, durability and security. Our patio doors have a choice of 2,3 or 4 panes so it's completely up to you what you have. Security is a huge deal with us so we have added an Anti Jacking system, a 4 point hook lock and a 1 piece keep to ensure your patio door is extremely secure. These Doors are reinforced with low maintenance PVC-U frames and excellent weather protection and heat conservation. 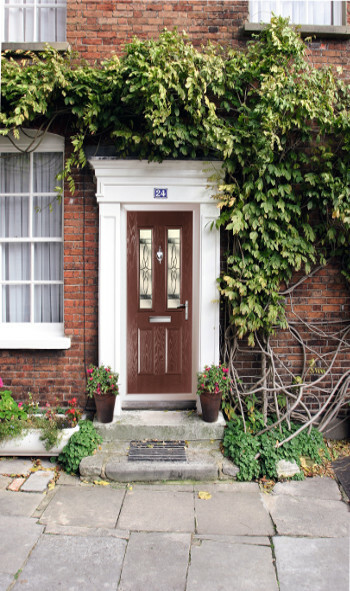 Composite Doors are the way to go with a front door if you want to make a mark, there are so many combinations to go for it is endless. 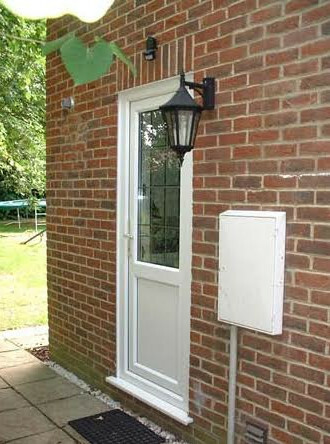 Although slightly more expensive than a PVC Door they have a much wider selection of styles to use. They are also much more secure with slam locks, overall it is a very strong, efficient, and secure front door and will be sure to do the job,our specialist team will come and fit any door if need be.